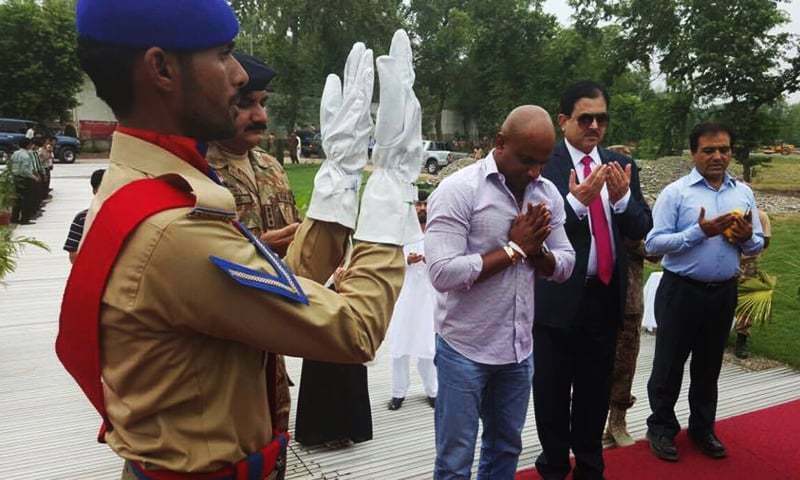 Master blaster and former Sri Lankan captain Sanath Jayasuriya on Friday visited the Army Public School (APS) in Peshawar to pay his respects to the victims of a terrorist attack on December 16, 2014. The Peshawar carnage is dubbed as the most gruesome attack in the country’s history. More than 140 schoolchildren and 10 other people were killed when heavily armed militants stormed APS. Jayasuriya, who has been appearing as an analyst on PTV Sports for Pakistan's tour of Sri Lanka, said he was deeply humbled after visiting the school. “Visit to Army Public school in Peshawar! To pay my respects to the more than 100 children who were innocent victims of the deadliest terrorist attack in Pakistan. May their beautiful souls rest in peace! Emotional day for me,” Jayasuriya wrote on his Facebook page. Jayaysuriya, who is also Sri Lanka's Deputy Minister of Provisional Councils and Regional Development, has visited various cities across the northern areas of Pakistan since his arrival in the country in June. He doesnt need to do this...Hes a visitor..
How many of our politicians or prominent celebrities have visited APS??? Yes that incident always haunts us make our eyes tearful..lot of respect for this gentleman to feel the pain of our innocent heros..we will never forget and will take revenge of all the precious life.. He was one of my favorite player. I greatly appreciate his visit to APS Peshawar. An absolutely magnificent player and even better human being!!! Love you Jay and a big AIR-CONDITIONER (fan) of yours batting... you had changed the way present batsmen playing. Thank you Sanath. God bless you. Lot of respect for this man..very nice gesture from him. Good Guy does Good Things! Sanath, We Really Appreciate For giving Respect to Our "Young Shaheeds"
thank you Sir for your kind gesture. Pakistan should officially thank and appreciate Jayasuria for this visit,An excellent gesture by this great player. Hats off to a great cricketer and an outstanding human being. I had the honor of meeting up with him in Sharjah-UAE several times during his hay days. Looking at his latest pictures in Peshawar, he seems to be much fitter than most of the green-shirt cricketers playing international cricket. He for sure is ready to play test and ODI cricket for any team in the world. My message to Sanath Jayasuriya at this crucial junture in time and history is to "keep it up and hang on tough." @Canada I live in Chicago and when I woke up that horrible day, the first email I saw was from a coworker who was sorry for the atrocious act and sent his condolences knowing I would be feeling horrible. He certainly found out through US media outlets. I wonder if Saudia are aware, December 16th even happened or not. My respect for him increased. Not only a good athlete but a good human. I think Pakistanis love him not less than Sri Lankans do. Thanks a lot Sanath Jayasuriya...my favorite Sri Lankan cricketer. Didn't know he is visiting Pakistan since June, specially the northern area of Pakistan...a paradise on earth. Sri Lankan is also a tropical green paradise, the greenest and one of the most beautiful country in the world with pristine emerald green beaches. More people to people contact between Sri LAnka and Pakistan needed. My love for srilankans is unconditional. Thank you sir it was very thoughtful. A great act from really a great sportsman and a true human being. I always love the way he calls "wicket" "wicut". Thank you our Sri Lankan friend!! He is a true hero and a bridge between two bleeding nations who are rebuilding. God bless him. A good human being.. Greatness in humility! Thaks you The legend ..
No politics, just humanity. Thanks to a great man from a great nation. He was an absolutely awesome player. The most powerful arms in cricket history ! At times when Pakistan lost cricket matches to Srilanka because it was Sanath's day, we used to understand and even cheered his brilliance, for he is as much Pakistan's hero as he is Srilanka's! May god bless you. 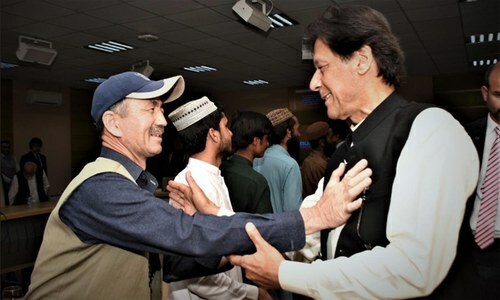 A whole hearted thank you on behalf of millions of peaceful and moderate Pakistanis. We really value and appreciate your great contribution to the game of Cricket. We toghether can defeat terrorism, kindly review law and order in Pakistan and use your influence to bring Srilankan team here. We promise you that we would ensure security by creating a 'human shield' around Srilankan team. The hearts of Sri Lanka are clean and sincere. Thats why he felt for our children. And we love them as brothers. Others in the region can learn sincerety and humbleness from them. Great cricketer and even greater human being. Buddy we killed that Ishaq butcher in broad day light and in a pure badly played police drama, to show the respect to those innocent victims of these blood thirsty sucking termites. Thank You Sir. May God bless you and your family. What a good guy. God bless him. If Boudhist had not given up easily then there would be prosperous and peaceful Af-Pak area today and no massacre of innocent students in Peshawar. He needs to visit Boudhist sites within Pakistan to see what he can do to revive the message of peace of Gautama the Buddha. The country dealership of an Indian company's operations in Sri Lanka is run by Sanath Jaysurya. A very nice and thoughtful gesture by the great champion. @Canada: Let's give credit where due. Almost all the US media was busy reporting the sad incident all day long. I know it since I watched it myself. a great payer and even a better human being. Thank you Jayasuriya and thank you Sri Lanka... for standing by us in difficult times. Together we will be able to defeat terrorists and their abettors! He changed how ODI cricket was played on its head. People around the World went to stadiums just to see him bat. He's not just a Sri Lankan legend, but a World cricket statesman of highest esteem, and he doeasn't have the arrogant attitude that a lot of present day cricketers show as their birth right. I wish some of our present or past players would pay the same kind of respect to tragedies overseas this man is showing. We can all learn a lot from Sanath Jayaysuriya. thank you Jay. you are a beautiful person. Sri Lanka is our close friend. They have also faced terrorist activities like Pakistan. We helped them to overcome the extremism and inshallah we will also get rid of extremism soon. @Canada they reported but with a taunt that " the school had separate building for girl and boys, in present day ...."
People like Jayasuriya are the gem of the world. Thank you for standing with us. Salute! What an amazing man and what a great player he was..god bless you Sanath. Sri Lankans are great people always.....respect. Great By the same time I would suggest our Pakistani supporters to respect Sri Lankans. There were some disturbing news about spectators clash in ODI in Sri Lanka. Even if some one says to you something, for God sake tolerate it. You know your other neighbors! We all should be proud of having a legend of all legends Sanath Jayasuriya paying respect to APS. Sir we all are peace loving nation and we all want to eradicate terrorism in our country more than any other country. These APS students are and were the most brave children of our country and we wish to have many more brave citizens like these. All respect for a human being, legend and cricketer like SANATH JAYASURIYA. And thank you very much Srilanka for being a great friend, great nation and specially for producing great cricketers like Jayasuriya. Thank you SIR.